Lipids comprise a group of compounds such as fats, oils, steroids and waxes found in living organisms. Both prokaryotes and eukaryotes possess lipids, which play many important roles biologically, such as membrane formation, protection, insulation, energy storage, cell division and more. In medicine, lipids refer to blood fats. Lipids designate fats, oils, steroids and waxes found in living organisms. Lipids serve multiple functions across species, for energy storage, protection, insulation, cell division and other important biological roles. Lipids are made of a triglyceride that is made from the alcohol glycerol, plus fatty acids. Additions to this basic structure yield great diversity in lipids. Over 10,000 kinds of lipids have been discovered so far, and many work with a huge diversity of proteins for cellular metabolism and material transport. Lipids are considerably smaller than proteins. Fatty acids are one type of lipid and serve as building blocks for other lipids as well. Fatty acids contain carboxyl (-COOH) groups bound to a carbon chain with attached hydrogens. This chain is water-insoluble. Fatty acids can be saturated or unsaturated. Saturated fatty acids have single carbon bonds, whereas unsaturated fatty acids have double carbon bonds. When saturated fatty acids combine with triglycerides, this results in solid fats at room temperature. This is because their structure causes them to pack together tightly. In contrast, unsaturated fatty acids combined with triglycerides tend to yield liquid oils. The kinked structure of unsaturated fats yields a looser, more fluid substance at room temperature. Phospholipids are made of a triglyceride with a phosphate group substituted in for a fatty acid. They can be described as having a charged head and hydrocarbon tail. Their heads are hydrophilic, or water-loving, whereas their tails are hydrophobic or repellant to water. 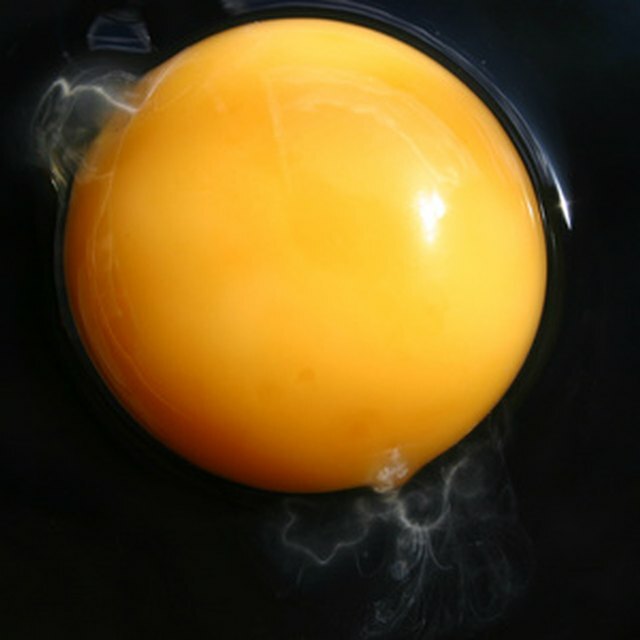 Another example of a lipid is cholesterol. Cholesterols arrange into rigid ring structures of five or six carbon atoms, with hydrogens attached and a flexible hydrocarbon tail. The first ring contains a hydroxyl group that extends into water environments of animal cell membranes. The rest of the molecule, however, is water insoluble. Polyunsaturated fatty acids (PUFAs) are lipids that aid in membrane fluidity. PUFAs participate in cell signaling related to neural inflammation and energetic metabolism. They can provide neuroprotective effects as omega-3 fatty acids, and in this formulation, they are anti-inflammatory. For omega-6 fatty acids, PUFAs can cause inflammation. Sterols are lipids found in plant membranes. Glycolipids are lipids linked to carbohydrates and are part of cellular lipid pools. Lipids play several roles in organisms. Lipids make up protective barriers. They comprise cell membranes and some of the structure of cell walls in plants. Lipids provide energy storage to plants and animals. Quite often, lipids function alongside proteins. Lipid functions can be affected by changes to their polar head groups as well as by their side chains. Phospholipids form the foundation for lipid bilayers, with their amphipathic nature, that make up cell membranes. The outer layer interacts with water while the inner layer exists as a flexible oily substance. The liquid nature of cell membranes aids in their function. Lipids make up not only plasma membranes, but also cellular compartments such as the nuclear envelope, endoplasmic reticulum (ER), Golgi apparatus and vesicles. Lipids also participate in cell division. Dividing cells regulate lipid content depending on the cell cycle. At least 11 lipids are involved in cell cycle activity. Sphingolipids play a role in cytokinesis during interphase. Because cell division results in plasma membrane tension, lipids appear to help with mechanical aspects of division such as membrane stiffness. Lipids provide protective barriers for specialized tissues such as nerves. The protective myelin sheath surrounding nerves contains lipids. Lipids provide the greatest amount of energy from consumption, having more than twice the amount of energy as proteins and carbohydrates. The body breaks down fats in digestion, some for immediate energy needs and others for storage. The body draws upon the lipid storage for exercise by using lipases to break down those lipids, and eventually to make more adenosine triphosphate (ATP) to power cells. In plants, seed oils such as triacylglycerols (TAGs) provide food storage for seed germination and growth in both angiosperms and gymnosperms. These oils are stored in oil bodies (OBs) and protected by phospholipids and proteins called oleosins. All of these substances are produced by the endoplasmic reticulum (ER). The oil body buds from the ER. Lipids give plants the necessary energy for their metabolic processes and signals between cells. The phloem, one of the chief transport portions of plants (along with the xylem), contains lipids such as cholesterol, sitosterol, camposterol, stigmasterol and several varying lipophilic hormones and molecules. The various lipids may play a role in signaling when a plant is damaged. Phospholipids in plants also work in response to environmental stressors on the plants as well as in response to pathogen infections. In animals, lipids also serve as insulation from the environment and as protection for vital organs. Lipids provide buoyancy and waterproofing as well. Lipids called ceramides, which are sphingoid-based, perform important functions for skin health. They help form the epidermis, which serves as the outermost skin layer that protects from the environment and prevents water loss. Ceramides work as precursors for sphingolipid metabolism; active lipid metabolism occurs within the skin. Sphingolipids make up structural and signaling lipids found in the skin. Sphingomyelins, made from ceramides, are prevalent in the nervous system and help motor neurons survive. Lipids also play a role in cell signaling. In the central and peripheral nervous systems, lipids control fluidity of membranes and aid in electrical signal transmissions. 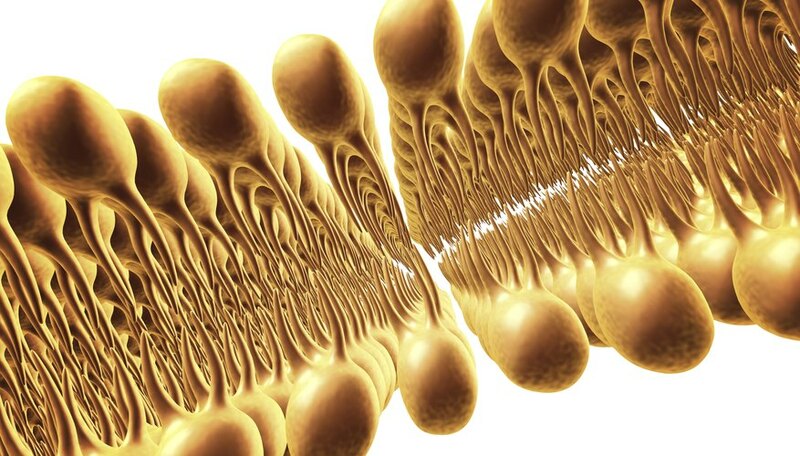 Lipids help stabilize synapses. Lipids are essential for growth, a healthy immune system and reproduction. Lipids allow the body to store vitamins in the liver such as the fat-soluble vitamins A, D, E and K. Cholesterol serves as a precursor for hormones such as estrogen and testosterone. It also makes bile acids, which dissolve fat. The liver and intestines make approximately 80 percent of cholesterol, whereas the rest is obtained from food. Generally, animal fats are saturated and therefore solid, whereas plant oils tend to be unsaturated and therefore liquid. Animals cannot produce unsaturated fats, so those fats must be consumed from producers such as plants and algae. In turn, animals that eat those plant consumers (such as cold-water fish) gain those beneficial fats. Unsaturated fats are the healthiest fats to eat as they decrease the risk of diseases. Examples of these fats include oils such as olive and sunflower oils, as well as seeds, nuts and fish. Leafy green vegetables are also good sources of dietary unsaturated fats. The fatty acids in leaves are used in chloroplasts. Trans-fats are partially hydrogenated plan oils that resemble saturated fats. Previously used in cooking, trans-fats are now considered unhealthy for consumption. Saturated fats should be consumed less than unsaturated fats as saturated fats may increase disease risk. Examples of saturated fats include red animal meat and fatty dairy products as well as coconut oil and palm oil. When medical professionals refer to lipids as blood fats, this describes the kind of fats often discussed regarding cardiovascular health, particularly cholesterol. Lipoproteins aid in the transport of cholesterol though the body. High-density lipoprotein (HDL) refers to cholesterol that is a “good” fat. It serves to help remove bad cholesterol via the liver. The “bad” cholesterols include LDL, IDL, VLDL and certain triglycerides. Bad fats increase heart attack and stroke risk due to their accumulation as plaque, which can lead to clogged arteries. Therefore a balance of lipids is crucial to health. Inflammatory skin conditions may benefit from the consumption of certain lipids such as eicosapentaenoic acid (EPA) and docsahexaenoic acid (DHA). EPA has been shown to alter skin’s ceramide profile. A number of diseases are related to lipids in the human body. Hypertriglyceridemia, a condition of high triglycerides in the blood, can lead to pancreatitis. A number of medicines work to reduce triglycerides, such as by enzymes that degrade blood fats. High triglyceride reduction has also been found in some individuals by medical supplementation via fish oil. Hypercholesterolemia (high blood cholesterol) can be acquired or genetic. Individuals with familial hypercholesterolemia possess extraordinarily high cholesterol values that cannot be controlled via medication. This greatly increases the risk of heart attack and stroke, with many individuals dying before reaching 50 years of age. Genetic diseases that result in high lipid accumulation on blood vessels are referred to as lipid storage diseases. This excessive fat storage yields deleterious affects for the brain and other parts of the body. Some examples of lipid storage diseases include Fabry disease, Gaucher disease, Niemann-Pick disease, Sandhoff disease and Tay-Sachs. Unfortunately, many of these lipid storage diseases result in illness and death at a young age. Lipids also play a role in motor neuron diseases (MNDs), as these conditions are characterized not only by motor neuron degeneration and death but also problems with lipid metabolism. In MNDs, the central nervous system’s structural lipids change, and this affects both membranes and cell signaling. For example, hypermetabolism occurs with amyotrophic lateral sclerosis (ALS). There appears to be a link between nutrition (in this case, not enough lipid calories consumed) and risk for developing ALS. Higher lipids correspond to better outcomes for ALS patients. Medicines that target sphingolipids are being considered as treatments for ALS patients. More research is needed to better understand the mechanisms involved and to provide proper treatment options. In spinal muscular atrophy (SMA), a genetic autosomal recessive disease, lipids are not used properly for energy. SMA individuals possess high fat mass in a low caloric intake setting. Therefore, again, lipid metabolism dysfunction plays a major role in a motor neuron disease. Evidence exists for omega-3 fatty acids playing a beneficial role in such degenerative diseases as Alzheimer's and Parkinson’s diseases. This has not proven to be the case for ALS, and in fact the opposite effect of toxicity has been found in mouse models. Scientists continue to discover new lipids. Currently, lipids are not studied at the level of proteins and are therefore less understood. Much of the current lipid classification relied upon chemists and biophysicists, with an emphasis on structure rather than function. Additionally, it has been challenging to tease out lipid functions because of their tendency to combine with proteins. It is also difficult to elucidate lipid function in live cells. Nuclear magnetic resonance (NMR) and mass spectrometry (MS) yield some lipid identification with the aid of computing software. However, better resolution in microscopy is needed to gain insight into lipid mechanisms and functions. Rather than analyzing a group of lipid extracts, more specific MS will be needed to isolate lipids from their protein complexes. Isotope labeling can serve to improve visualization and therefore identification. It is clear that lipids, in addition to their known structural and energetic characteristics, play a role in important motor functions and signaling. As technology improves for identifying and visualizing lipids, more research will be needed to ascertain lipid function. Eventually, the hope is that markers could be designed that would not overly disrupt lipid function. Being able to manipulate lipid function at subcellular levels could provide a research breakthrough. This could revolutionize science in much the same way that protein research has. In turn, new medicines could be made that would potentially help those who suffer from lipid disorders. Minneapolis Heart Institute Foundation: What Are Lipids? Molecular Biology of the Cell: Lipids in Cell Biology: How Can We Understand Them Better? NIH Medline Plus: What Do Fats Do in the Body? Dianne, J.. "Lipids: Definition, Structure, Function & Examples." Sciencing, https://sciencing.com/lipids-facts-and-functions-13714439.html. 11 April 2019.